Murphy’s law - or is he just helping a mate? The Declan Rice contract saga is getting nastier and nastier - and just who he ends up playing international football for, much the same. Everybody seems to have a view on whether West Ham are playing silly buggers over Rice’s new contract. Perhaps they're refusing to be bullied into paying him what many feel is the going rate for a young midfielder who can handle Eden Hazard and look every inch a West Ham skipper in the making. 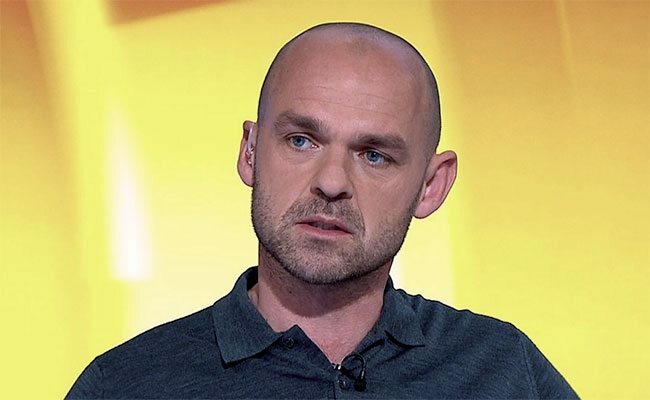 Latest into the war of words is Danny Murphy, BBC talking head, formerly an ordinary Liverpool player but someone who seems to have made a real niche for himself in the punditry world. He has slaughtered West Ham for their part in this seemingly never-ending contract saga. The 19 year-old is supposedly on £3,000 a week - Academy money, that - and now with a new agent wants £30,000. Rice is now represented by the WMG agency, a massive worldwide group. The guy looking after Rice is one Neil Fewings, seemingly famous for masterminding Virgil Van Dijk’s protracted move from Southampton to Liverpool. Back to Murphy. He is perfectly entitled to his view on Rice, it’s what the BBC pay him for. And his attack on West Ham including much of what West Ham punters would reckon is a reasonable attitude. But there’s one thing here which sticks in my throat a bit, and underlines the secretive world of agents and their players and friends. Murphy is also represented by Fewings, and it is said, is a close personal friend of the guy. You know the stuff, wives are friends, so are the kids, and the families go on holiday together. Nothing wrong there. But is Murphy’s view on the Rice situation coloured, maybe, by the fact that he is big mates with Fewings? How much does Murphy actually know about the contract negotiations? Is, maybe, his view on the situation compromised by the fact that Fewings is his agent? Whatever, Murphy’s involvement does turn the screw on West Ham. OK, I will leave that for you all to consider, but such closeness of players, agents, clubs, other players, other agents - it goes on - is nothing unusual. It is believed that quite a few of Murphy’s punditry pals are on Fewings' or WMG’s books. Gary Lineker is represented by Jon Holmes, a senior man at the very top of WMG’s operations. Alan Shearer, Michael Owen, Jamie Redknapp and Jamie Carragher are all on WMG’s books. It has even been suggested that Fewings is involved with Harry Kane, but I don’t believe that. Kane’s agent is Will Salthouse, the agent that works so closely with David Sullivan and represents Michail Antonio, Aaron Cresswell, Pedro Obiang and Ryan Fredericks. Salthouse was very pubically involved in getting Kane a new contract out of Spurs - no mean feat, that - and has no dealings with Rice. What all that means though, is that in the very small world of football business, everybody knows everybody else’s business. I find it hard to accept that Murphy and Fewings have not had a friendly chat about Rice. It’s a shame that West Ham and Fewings can’t do the same. Our friends over at C&H insist that both sides barely speak at the moment, if at all. West Ham, it is claimed find Fewings difficult to deal with, and as this sage drags on I can only assume that Fewings thinks the same about West Ham. But all this leaves West Ham fans confused and angry the best young player we have produced in a generation has this contract cloud hanging over him, as well as the dispute now between the Republic of Ireland and England over who the young man will eventually play for. Up until now Declan has been in the Irish system but very publically opted out of the last round of internationals because they would have been competitive - so far he has only played in three friendlies - and tied him to Dublin for ever. England want the Surrey-born youngster, with Irish grandparents, and still there has been no decision. Ireland boss Martin O’Neil has gone on record and blamed Rice’s agent for the impasse. I wonder who he means? But we are getting to another critical point. Next week England and the Republic both name squads for the next round of international fixtures. So who, if anybody, will include Rice in their squad? The one good thing is that Rice seems to have risen above all of this and turned in two masterful performances against Everton and Chelsea. Top drawer stuff that has thrown the contract and international situations back into the spotlight. And that means the fans still want to know why he hasn’t got a new contract. But even that is a cloudy issue. One side of the row insist he is on £3,000 a week and that West Ham’s offer is around £12,000 with add-ons. The situation with Reece Oxford gets dragged into the equation. Oxford is on £20,000 to be captain of the under 21s, with very little chance of getting into the first team thinking. There are plenty more of West Ham’s younger players on that sort of money, so why not Rice? Why is he being singled out for special treatment? West Ham keep suggesting that they don’t want the boy to go the same way as Oxford, who got a big deal because he agent is a pain and there was that game when he played Mesut Ozil off the park. Since then, it is reckoned, money and ego has gone to his head. But why do West Ham think that Rice, 20 in January, will go the same way? What ever they may think of his agent, and they are believed to find him difficult, the one thing big agencies do is look after their clients and invest the money properly and keep them on the straight and narrow. OK, some do! And of course there is some discrepancy over what has been offered. West Ham insist it is £18k plus add-ons and a pay rise after 23 games. You all may say that is a lot of money for a kid, but it’s not the market price for a player who is flourishing in the Premier League, keeping quiet players like Hazard, who figures in FIFA’s best world eleven at the moment. And of course there are other players higher up the food chain doing very little for their wages, and Rice’s people can see that. Look at how far backwards Michail Antonio has gone since one good season, an England call-up and a massive new contract. I could go on, but you get the point. The fact, also, that the England media machine is cranking into action is not helping. Sky started talking about Rice this week, and the Mail have had a duel byline piece about the young man and suggesting he will in the end chose England. That article had their top England writer Matt Lawton as one of the two bylines, with Matt Barlow second having presumably got the stuff from Pablo Zabaleta about getting the lad’s future sorted out. The fact, also, that it is very clear that several big clubs are now trailing the youngster. His contract ends next summer, but West Ham insist he will still be legally held for two more seasons. Only West Ham, with their reputation for constant litigation over seemingly everything, could even think of mentioning legal aspects of this case. Look, if he wants out and his agent wants him out, then he will go. Just remind yourselves of how long it took Van Dijk to get away from Southampton - but in the end he is now playing at Liverpool, despite the Anfield club having to apologise to the Saints for tapping him up. West Ham need to sort this quickly. So far Manuel Pellegrini has said little about the situation on the record, but he surely can‘t be happy that one of his big successes this season has such distractions. But, it is said, the club and agent are not talking. Maybe Danny Murphy can sort out a little chat between both sides when he has got time from his media duties?